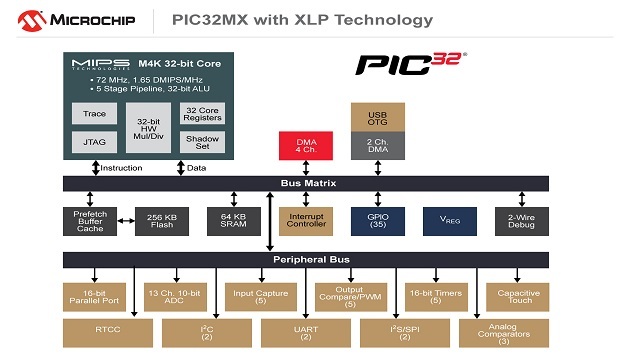 The latest PIC32 microcontroller family from Microchip Technology Inc. expands Microchip’s eXtreme Low Power (XLP) technology to 32-bit products. 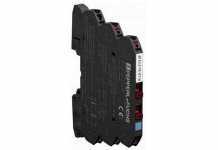 The PIC32MX1/2 XLP offers current PIC32MX customers an easy migration path to achieve higher performance at much lower power, enabling both increased functions and longer battery life in portable applications. The PIC32MX1/2 XLP family increases performance in small pin-count devices with little code rework for existing customers. Microchip’s XLP technology is designed for wearable technology, wireless sensor networks and other smart connected devices and offers low current operating modes for Run and Sleep, where extreme low-power applications spend 90 to 99 percent of their time. XLP technology will enable sleep and deep sleep shutdown states on the PIC32MX1/2 XLP devices, enabling Deep Sleep currents down to 673 nA. The devices offer over 40 percent higher performance than the existing PCI32MX1/2 portfolio while reducing average run currents by 50 percent. 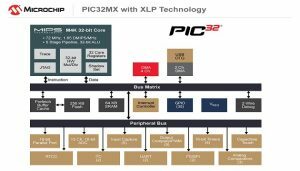 The PIC32MX1/2 XLP family offers a range of memory configurations with 128/256 KB Flash and 32/64 KB of RAM in packages ranging from 28 to 44 pins. 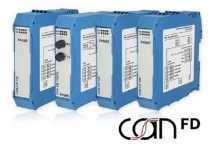 They also include a diverse set of peripherals at a low cost including I2S for digital audio, 116 DMIPS performance for executing audio and advanced control applications, a 10-bit 1 Msps 13-channel ADC and serial communications peripherals. The PIC32MX2 series also supports USB-device, host and OTG functionality. In addition to the hardware peripheral features, the series is supported by Microchip’s MPLAB® Harmony Software Development Framework, which simplifies development cycles by integrating the license, resale and support of Microchip and third-party middleware, drivers, libraries and RTOSs. Specifically, Microchip’s readily available software packages such as Bluetooth® audio development suites, audio equaliser filter libraries, decoders (including AAC, MP3, SBC), sample rate conversion libraries and USB stacks will rapidly reduce the development time of digital audio, consumer, industrial and general-purpose embedded control applications.